Prior to becoming an attorney, Anthony L. Ameduri received his J.D. 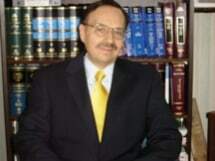 Degree from Hostra University School of Law, received his Master’s Degree in Hospital Administration from Wagner College, and worked as a Hospital Administrator before attending law school. Mr. Ameduri is co-founding partner of Ameduri, Galante & Friscia. He established the Staten Island law firm in 1985. He concentrates on the representation of serious injury and wrongful death victims. His zealous advocacy has resulted in numerous seven-figure settlements and verdicts. Mr. Ameduri believes that without compassion, we limit our ability to respond to the needs of our clients. He takes great satisfaction in being there for his clients and helping them through the most difficult time of their lives. He has been practicing in all counties of New York City since 1980.